I can't cook rice. I'm horrible. It either turns out too sticky, raw, burnt, chewy, crunchy or a combination of all of them. Well people, no more of that, I finally bought a rice cooker! I meant to get a picture of my baby but forgot. She's small, only cooks 3 cups at a time, tops. She's inexpensive. I don't have a lot of money for extras so we went cheap. But she doesn't burn my rice! She knows when the rice is done and it makes me so happy! Who would have thought a $15 appliance could make me so happy! 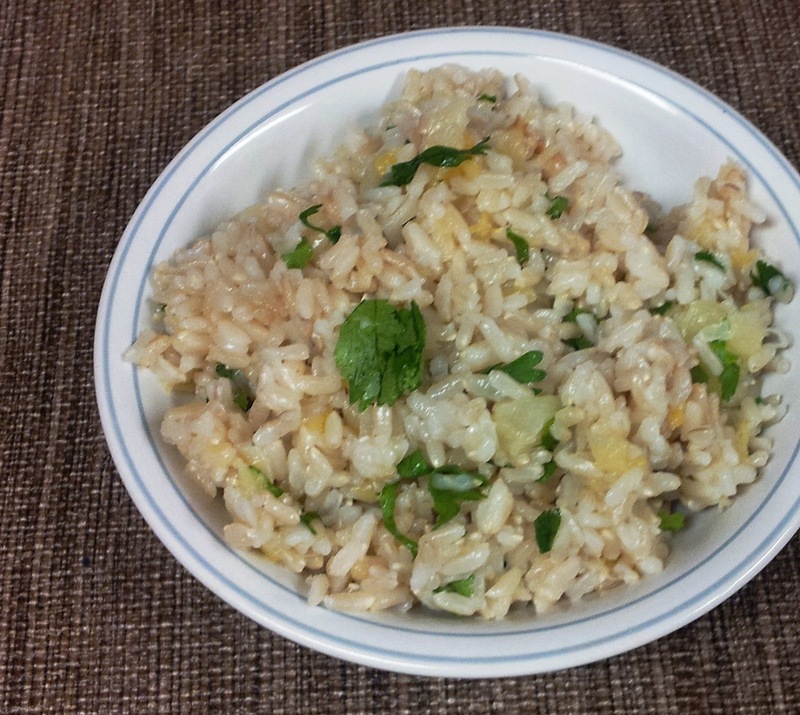 I've made brown rice so often now and I just love it! Much as I love it plain, today I decided to jazz it up a bit. Yea, it's citrusy and acidy but holy yum does it taste good! It's like dessert rice with dinner. 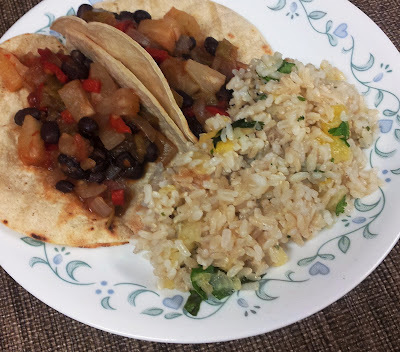 I love pineapple and with these Bean and Pineapple Tacos, it was fantastic! Combine your cooked brown rice with the juice from the lime, the drained pineapple and cilantro. Stir to combine and serve. Add salt and pepper as desired.